The Chilean short film El verano del león eléctrico / The Summer of the Electric Lion by Diego Céspedes from Universidad de Chile - ICEI, was the winner of the first prize of this year's Cannes' Cinéfondation, the competition comprised by 17 student films from all over the world. The film follows 11-year-old Alonso who, hidden in a house far from the city, accompanies his dear older sister, Daniela. She expects to become the seventh wife of The Lion, a prophet who (according to stories) electrocutes when you touch him. 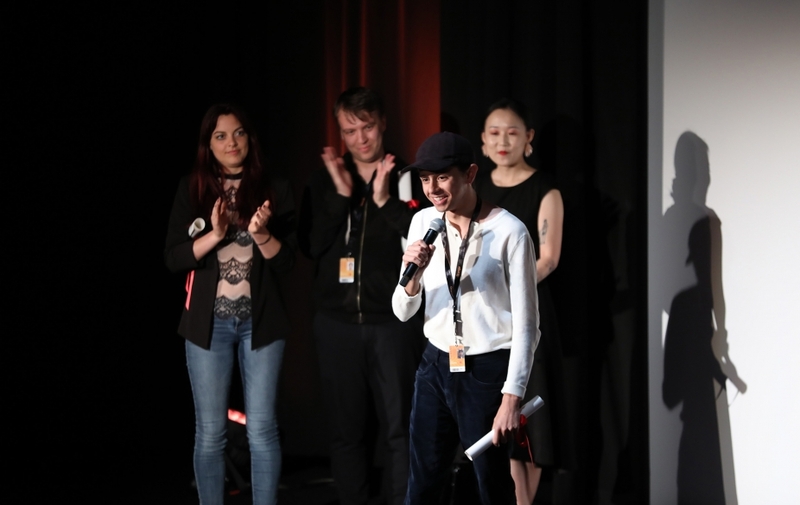 The Cinéfondation and Short Films Jury was headed by Bertrand Bonello and included Khalil Joreige, Valeska Grisebach, Alanté Kavaïté and Ariane Labed,. The Cinéfondation award comes with a cash prize of €15,000 for the first place, and its winner is guaranteed the presentation of his/her first feature film at the Festival de Cannes.